We wish you a very happy holiday. Check out the following safety tips to ensure a safe and happy aeason. Short sales can be a great deal but make sure you know what you are getting into!! Call Ken to schedule a home inspection to get a comprehensive view of what is ahead of you. Do you test your GFCI’s? Do you ever test the GFCI? These devices should be tested monthly to make sure that if the test button is pushed then the reset button should pop out and the power is disconnected. Once you press the reset button the power should resume. If this does not happen it is recommended that you replace the GFCI. At Ace Home Inspection of Hudson Valley all GFCI’s will be tested during a home inspection, but it is up to the homeowner to do periodic testing to ensure that these devices continue to function properly. All exterior outlets ( including the garage) should be protected with GFCIs. Inside your home you should also have GFCIs when the outlet is located within 6 ft of water ( bathroom, wet bar or kitchen). So go take a few minutes and check those devices to ensure your family’s safety. The article below gives more detail about GFCI’s. A ground-fault circuit interrupter, or GFCI, is a device used in electrical wiring to disconnect a circuit when unbalanced current is detected between an energized conductor and a neutral return conductor. Such an imbalance is sometimes caused by current “leaking” through a person who is simultaneously in contact with a ground and an energized part of the circuit, which could result in lethal shock. GFCIs are designed to provide protection in such a situation, unlike standard circuit breakers, which guard against overloads, short circuits and ground faults. It is estimated that about 300 deaths by electrocution occur every year, so the use of GFCIs has been adopted in new construction, and recommended as an upgrade in older construction, in order to mitigate the possibility of injury or fatality from electric shock. The first high-sensitivity system for detecting current leaking to ground was developed by Henri Rubin in 1955 for use in South African mines. This cold-cathode system had a tripping sensitivity of 250 mA (milliamperes), and was soon followed by an upgraded design that allowed for adjustable trip-sensitivity from 12.5 to 17.5 mA. The extremely rapid tripping after earth leakage-detection caused the circuit to de-energize before electric shock could drive a person’s heart into ventricular fibrillation, which is usually the specific cause of death attributed to electric shock. Charles Dalziel first developed a transistorized version of the ground-fault circuit interrupter in 1961. Through the 1970s, most GFCIs were of the circuit-breaker type. This version of the GFCI was prone to frequent false trips due to poor alternating-current characteristics of 120-volt insulations. Especially in circuits with long cable runs, current leaking along the conductors’ insulation could be high enough that breakers tended to trip at the slightest imbalance. Since the early 1980s, ground-fault circuit interrupters have been built into outlet receptacles, and advances in design in both receptacle and breaker types have improved reliability while reducing instances of “false trips,” known as nuisance-tripping. The National Electrical Code (NEC) has included recommendations and requirements for GFCIs in some form since 1968, when it first allowed for GFCIs as a method of protection for underwater swimming pool lights. Throughout the 1970s, GFCI installation requirements were gradually added for 120-volt receptacles in areas prone to possible water contact, including bathrooms, garages, and any receptacles located outdoors. The 1980s saw additional requirements implemented. During this period, kitchens and basements were added as areas that were required to have GFCIs, as well as boat houses, commercial garages, and indoor pools and spas. New requirements during the ’90s included crawlspaces, wet bars and rooftops. Elevator machine rooms, car tops and pits were also included at this time. In 1996, GFCIs were mandated for all temporary wiring for construction, remodeling, maintenance, repair, demolition and similar activities and, in 1999, the NEC extended GFCI requirements to carnivals, circuses and fairs. The 2008 NEC contains additional updates relevant to GFCI use, as well as some exceptions for certain areas. The 2008 language is presented here for reference. 100.1 Definitions. Ground-Fault Circuit Interrupter. A device intended for the protection of personnel that functions to de-energize a circuit or portion thereof within an established period of time when a current to ground exceeds the values established for a Class A device. FPN: Class A ground-fault circuit interrupters trip when the current to ground has a value in the range of 4 mA to 6 mA. For further information, see UL 943, standard for Ground-Fault Circuit Interrupters. 210.8 Ground-Fault Circuit Interrupter Protection for Personnel. (A) Dwelling Units. All 125-volt, single-phase, 15- and 20-ampere receptacles installed in the locations specified in (1) through (8) shall have ground-fault circuit-interrupter protection for personnel. Exception No. 1: Receptacles not readily accessible. Exception No. 2: A single receptacle or a duplex receptacle for two appliances that, in normal use, is not easily moved from one place to another and that is cord-and-plug connected in accordance with 400.7(A)(6), (A)(7), or (A)(8). Exception: Receptacles that are not readily accessible and are supplied by a dedicated branch circuit for electric snow melting or deicing equipment shall be permitted to be installed in accordance with the applicable provisions of Article 426. (4) crawlspaces at or below grade level. Exception No. 1: Receptacles that are not readily accessible. Exception No. 3: A receptacle supplying only a permanently installed fire alarm or burglar alarm system shall not be required to have ground-fault circuit interrupter protection. Exception: Receptacles that are not readily accessible and are supplied by a dedicated branch circuit for electric snow-melting or de-icing equipment shall be permitted to be installed in accordance with the applicable provisions of Article 426. Receptacle-type GFCIs are currently designed to allow for safe and easy testing that can be performed without any professional or technical knowledge of electricity. GFCIs should be tested right after installation to make sure they are working properly and protecting the circuit. They should also be tested once a month to make su re they are working properly and are providing protection from fatal shock. 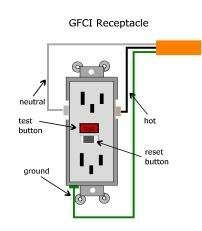 To test the receptacle GFCI, first plug a nightlight or lamp into the outlet. The light should be on. Then press the “TEST” button on the GFCI. The “RESET” button should pop out, and the light should turn off. If the “RESET” button pops out but the light does not turn off, the GFCI has been improperly wired. Contact an electrician to correct the wiring errors. If the “RESET” button does not pop out, the GFCI is defective and should be replaced. 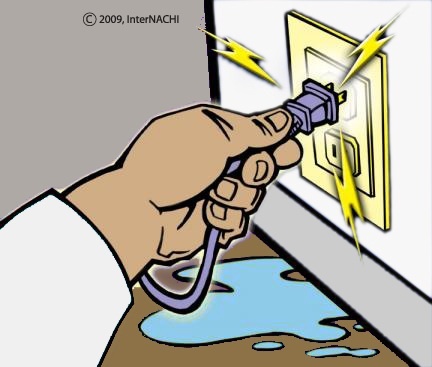 If the GFCI is functioning properly and the lamp turns off, press the “RESET” button to restore power to the outlet. A clogged sink or toilet is one of the most inconvenient household problems that you will face. With a plunger on hand, however, you can usually remedy these plumbing issues relatively quickly. 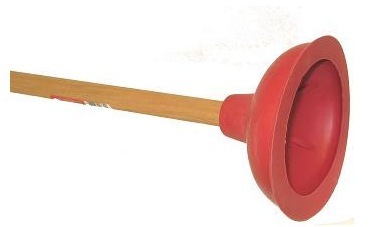 It is best to have two plungers — one for the sink and one for the toilet. Measuring house projects requires a tape measure — not a ruler or a yardstick. Tape measures come in many lengths, although 25 feet is best. Measure everything at least twice to ensure accuracy. Only a level can be used to determine if something, such as a shelf, appliance or picture, is correctly oriented. The torpedo-style level is unique because it not only shows when an object is perfectly horizontal or vertical, but it also has a gauge that shows when an object is at a 45-degree angle. The bubble in the viewfinder must be exactly in the middle — not merely close. It is best to have four screwdrivers: a small and large version of both a flathead and a Phillips-head screwdriver. 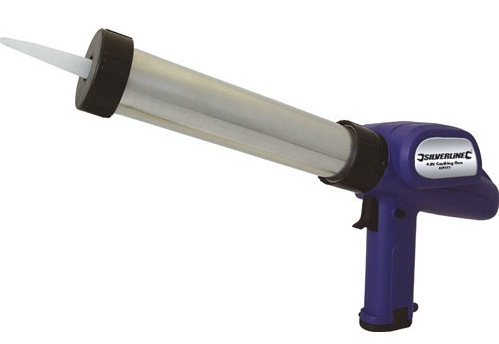 Electrical screwdrivers are sometimes convenient, but they’re no substitute. 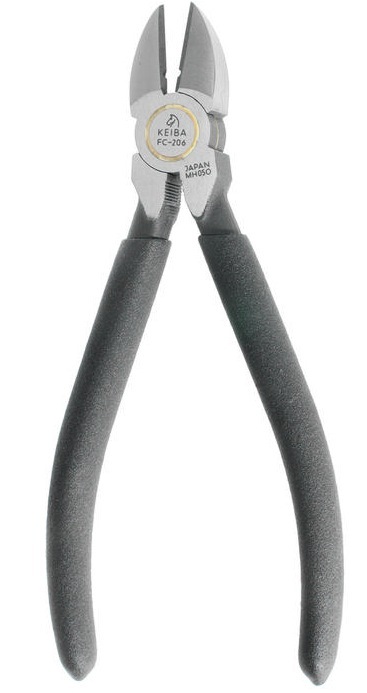 Manual screwdrivers can reach into more places and they are less likely to damage the screw. When you first look at this situation it appears to be a deck problem, but in reality it starts way below. This deck was built on the ground without using footings. As the ground freezes and thaws it moves up and down and without proper footings everything on it moves up and down. This post was pushed through the deck flooring because it wasn’t properly constructed. Your home inspection will include a review how any deck was built so you are aware of any potential problems. Have you found that house you think is the one? Here’s a list of things for you to look for before making an offer. Once that offer is accepted call us at Ace Home Inspection of Hudson Valley to set up for your professional inspection – I will review all your concerns and help you make an educated purchase. Click here to read more. Ace Home Inspections of Hudson Valley offers professional, thorough home inspections to make sure you know what the house you plan to purchase is all about. 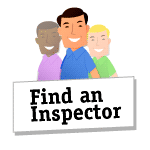 Click here to check out what the inspection includes.